Worldwide luxury travel for women. Each year it seems like luxury hotels try to outdo one another when it comes to luxury hotel amenities. How about monogramed pet towels and “tanning butlers? Ok, I get it. A hotel is really just a place to sleep. What differentiates one from another? The experience. And it’s the little touches, the amenities and perks, which often make a big difference in differentiating the hotel and building a memorable experience. Here are 5 of the best hotel perks (you will actually love) for 2014. Custom kids bath toys at the Jumeirah at Etihad Towers in Abu Dhabi. All parents know the importance of keeping little kiddos in as much of a routine as possible while traveling, and a relaxing bath time at night is one of the best ways to do that. So, in addition to expansive bath tubs (many with awesome views), the Jumeirah Towers at Etihad Towers in Abu Dhabi offers cute custom bath toys to their littlest guests. Personalized soap at the Viceroy Riviera Maya, Playa del Carmen, Mexico. 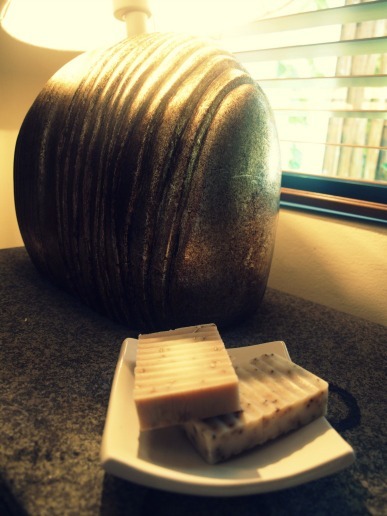 Upon arrival, after a tour of your expansive villa at the Viceroy Riviera Maya in Playa del Carmen, enjoy a free concierge service presenting you with bespoke soap options. Are you feeling like an invigorating (mint and rosemary) or more of an exfoliating option (oats and honey)? Or both? at Ink48, New York City. If you’re traveling with carry-on luggage only for a quick business trip or weekend away in the city, exercise gear doesn’t always make the cut. The runner-friendly Ink48 (a Kimpton Hotel), located a block from New York’s Hudson River greenway, offers free loaner running kits that include iPods loaded with workout-ready music, running belts equipped with water bottles, a sports watch, and a handy running map. Even better, when you get back, your choice of Vitamin Water or Gatorade will be waiting for you in your room. Signature welcome drink at the Grand Velas, Riviera Maya, Mexico. The peach Bellini was perhaps the first “signature cocktail” on earth; invented by Giuseppe Cipriani at Harry’s Bar in Venice for Ernest Hemingway and his drinking buddies. But as they say; “When in Rome”. 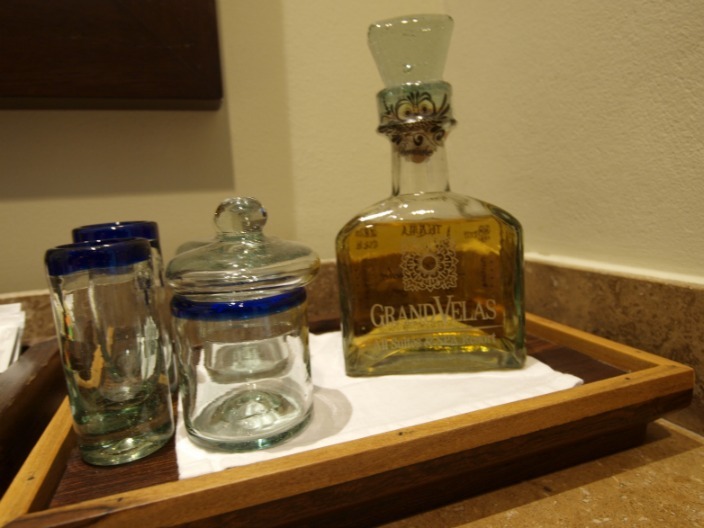 At the Grand Velas in Mexico’s Riviera Maya enjoy their custom in-room Tequila to kick off a relaxing stay at the beach. Free water sports at the Beach House, Turks and Caicos. If you’re like me, a little morning activity followed by an afternoon of utter laziness is the best way to spend a day on the beach. At Beach House Turks and Caicos, your beach butler will organize everything from snorkel gear, stand up paddle boards and kayaks to pina coladas or a cold beer. This boutique hotel offers a wide range of beach gear complimentary for guests, which is a bonus as many beach hotel charge extra for these amenities. What’s been your favorite hotel perk or amenity recently? Jennifer Blair was born with the road beneath her feet and the wind in her hair. As an Air Force brat she lived in Turkey and Greece, drove with her family down the Alaska Highway, and explored the Egyptian Pyramids, all before the age of twelve. For the past twenty years she has worked in production for feature films. As a travel coordinator on movies she has explored cities across the United States and the world. Her blog, Luxury Nomad, will take you places you only imagined and show you how to get there.